NiHao @ Taipei is just 50 meters away from Metro Taipei Main Station Exit M3, and is located in 'Cosmos Commercial Building, the right entrance of the Hotel. From here,you can take the Taiwan Railway (TRA) or High Speed Railway (HSR). And you can reach both 'Taipei Coach Station' and 'Airport Bus shuttle' within 5 min walk. We offers stylish dormitories and rooms with free Wi-Fi. The hostel has a lounge with computers and a Flat screen TV for guests to enjoy. 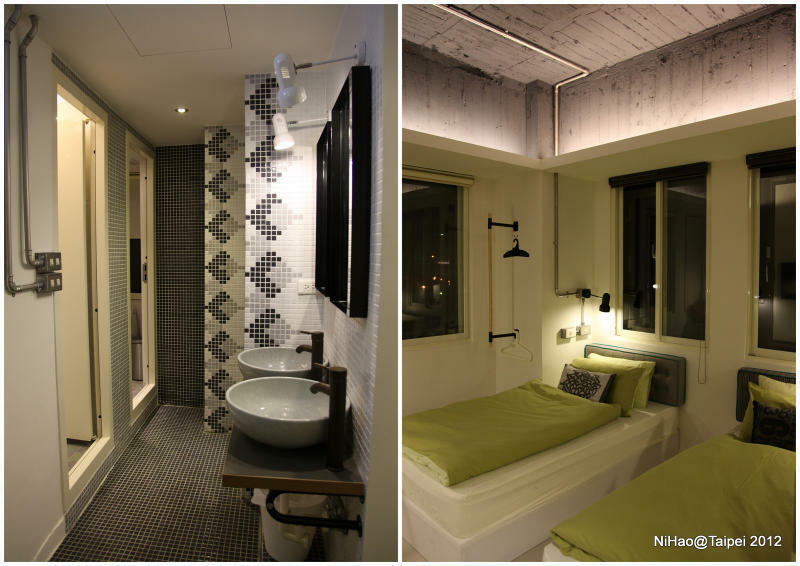 NiHao@Taipei hostel is a 10-minute walk from 'National Chiang Kai-shek Memorial Hall' or 'Office of the President' . Shilin Night Market is located at Jiantan Station, just 5 metro stations away from Taipei Main Station. RaoHe Night Market is a 7-minute train away. Each room and dormitory comes with a personal locker for each guest. The locker key is made like a watch, you can wear it to sleep with no worry your belongings. A personal reading light is located next to each bed. Stylish shared or en suite bathrooms come with toiletries and a hairdryer provided. Luggage storage is available at the hostel's front desk. Fax/Print/photocopy and laundry services are also available. No cancellation charge if you cancelled the booking more than 7 days in advance. 1 night room charge will be made if you cancel your booking within 7 days but more than 3 days. Full amount will be charged if you cancel the booking less than 3 days.